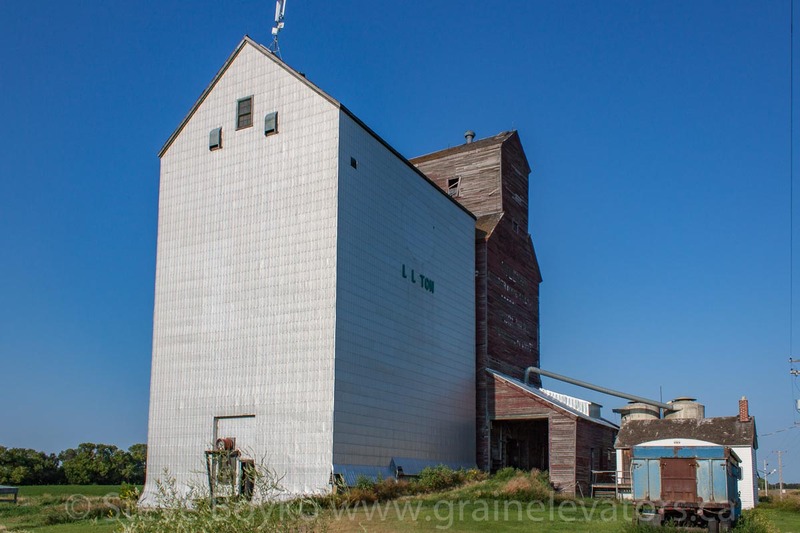 Lyleton, MB grain elevator, Aug 2014. Contributed by Steve Boyko. 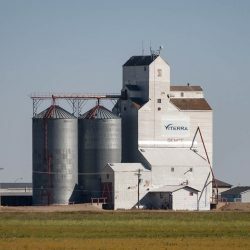 The Lyleton grain elevator is a former Manitoba Pool grain elevator with attached annex. 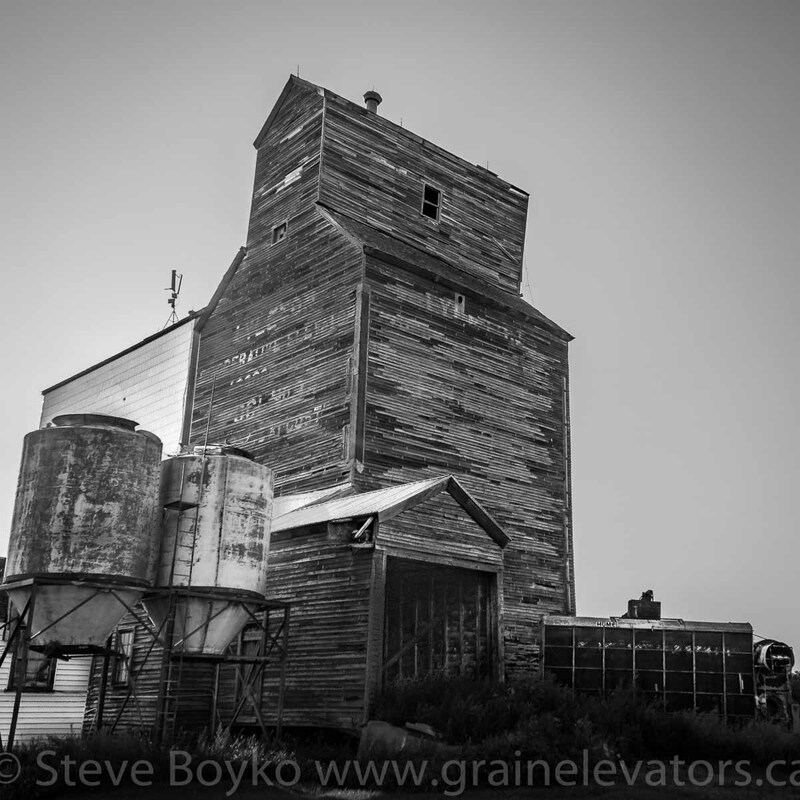 The elevator has seen better days, with the cupola having a bit of a lean to it. The annex appears to be from a different elevator, or at least it has received a metal cladding whereas the original elevator has not. 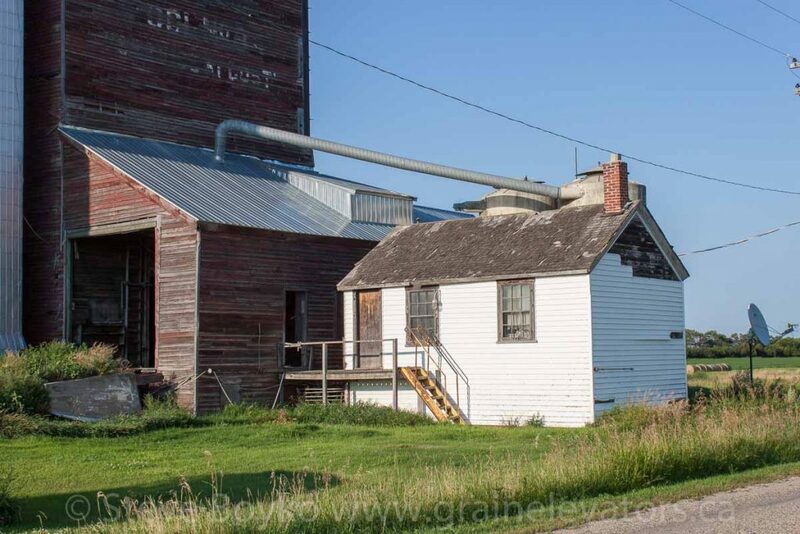 Grain elevator and annex in Lyleton, MB, Aug 2014. Contributed by Steve Boyko. 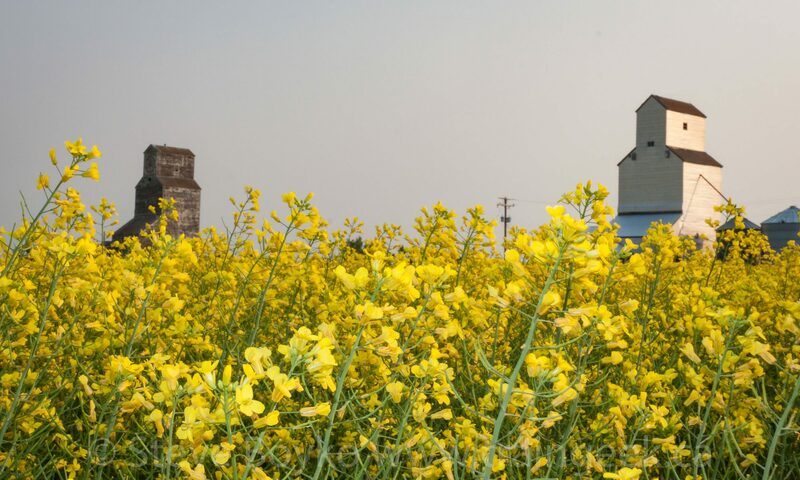 At one time there was a Paterson grain elevator (built in 1926) next to this one, but it was demolished around 2008. Lyleton was at the end of the CP Lyleton subdivision, and had rail service from 1903 until the rails were removed in the late 1970s. 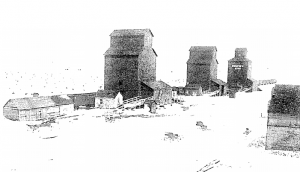 Lyleton, MB grain elevators, 1903. 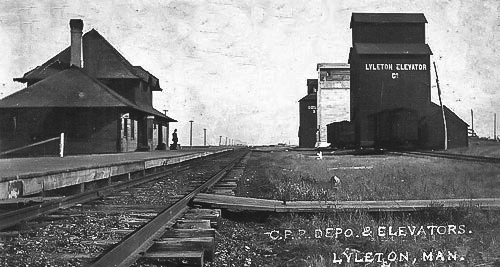 Lyleton, MB grain elevators and train station, circa 1910. Office at the Lyleton, MB grain elevator, Aug 2014. Contributed by Steve Boyko.